By Cari Bennette/ Are you already starting to wonder how you’re going to keep up the break-neck productivity of the National Novel Writing Month when it ends? November’s drawing to a close and for those who want to maintain a high level of productivity, the end of the month can seem a bit frightening and intimidating. Staying motivated once the challenge is over can be difficult to achieve after the deadline has passed. So, we’ve scoured the forums and communities of those who have ‘been there and done that’ to find the best tactics on staying productive and inspired for the rest of the year. Once you’ve pushed through the month of November, ease up on the heat with a short break for rest and relaxation. You’ve been pushing yourself mercilessly for 30 straight days, and chances are you’re exhausted – mentally, physically and emotionally. So take some time to recharge your batteries. Reconnect with friends and family, celebrate your success, and forget all about writing. But, only for a little while. The trick with taking time for R&R is to set a deadline on how long your rest periods will last, otherwise you may never pick it up again. If you’ve been writing steadily for a month, your inner critic can’t wait to make an appearance. Use the month of December to proofread, edit and organize your 50,000 words into some kind of format for revisions. Because, even though you may have hit your target word count, it’s not exactly a novel yet, is it? Use this time to determine where you story is weak and what you can do to improve it. One of the best ways to stay motivated throughout November applies equally to the follow-up months – stay connected within the NaNoWriMo community. January focuses on revising your novel. February’s theme is publishing, both traditional and self-publishing. April and July are the time for NaNoWriMo Camps, where you can set your personal word count goals and receive support for all types of writing. September is prep month for the upcoming challenge and time to plan and organize how you’ll hit your target goal. Plan to attend the post challenge webinars when editors, publishers and agents will help to sculpt your first draft into a workable format for publishing. Join in the scheduled Twitter chats, with hashtags dedicated to the editing process, introductions to agents and publishers and troubleshooting tips. Keep up with their blog for regular infusions of advice and encouragement from published authors, editing staff and agents. If you thrive on the challenge of meeting a tight deadline, join in other events with the same format. NaBloPoMo – is National Blog Posting Month. Ongoing year round, the goal is to share your blog posting daily for a month. com – write 750 words a day and win points in a game-like setting to stay motivated. WriYe – set a daily word count and work towards it over the year. Many of NaNoWriMo’s sponsors offer free trial periods for their products and services, as well as substantial discounts for NaNoWriMo participants. Check them out on this page of sponsor offers to find information, professionals and software to ease your burden. Jukepop holds a writing contest from Dec. 1 – Feb. 28 for WriMo’s. Submit your first chapter to their publishing platform to compete for a chance to win cash rewards. Kobo offers free ebooks on writing prompts, marketing and writing in general as well as their favorite new work of fiction. Enter the code NANOWRIMO at the checkout to download a copy of Bryan Cohen’s 1,000 Creative Writing Prompts, Volume 2. Bibliocrunch gives away a free ebook on self-publishing just for NaNoWriMo participants and you can download your script on their site to connect with publishing professionals. Give your productivity a boost by joining in the daily and weekly sprint feeds found on Twitter. #TalesandTea are all good sprinting communities to stay inspired and writing. Keep honing your writing craft by joining in a writers club. Share your work, receive feedback in a respectful community and work on your your draft as you continue to prepare for publishing. 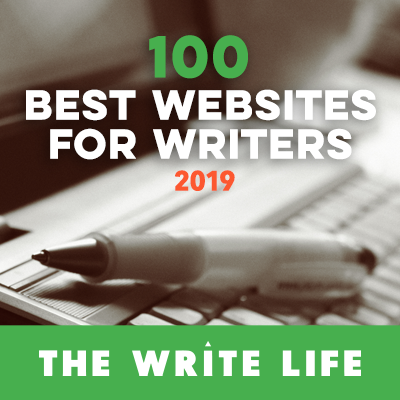 Book Country is a community where writers can post their manuscripts and receive feedback, and Scribophile is made up of writers who want to improve their work, exchange experiences and benefit from peer critiques. Wattpad is an online community of writers where you can connect and share your writing to build a fan following and receive feedback. Nothing saps motivation quite like being sick or burnt out. Eat healthy, drink plenty of clean water and get some fresh air and exercise every day. Set a timer to go off on the hour to take a 5 minute break. Sitting at a keyboard for extended periods is brutal for your posture and saps energy. Do some stretches for your back, neck and shoulders – these are the places that tend to get fatigued most for writers. If you can’t get to a massage therapist, a couple of tennis balls in a sock can be used to work on the knot between your shoulder blades to relieve the burn. You can stay motivated and productive long after November’s challenge is over. While you might not want to hit the same crazy pace, if you apply the above tips, you’ll bust through post-deadline lethargy and develop success habits that will keep you writing all through the year. Cari Bennette is a ghost author and content manager at Jet Writers – team of dedicated professionals who provide writing help. She is going to try herself in fiction writing next year and gain brand new experience.